We are professional graphic designers with over 40yrs experience of working with photographs. 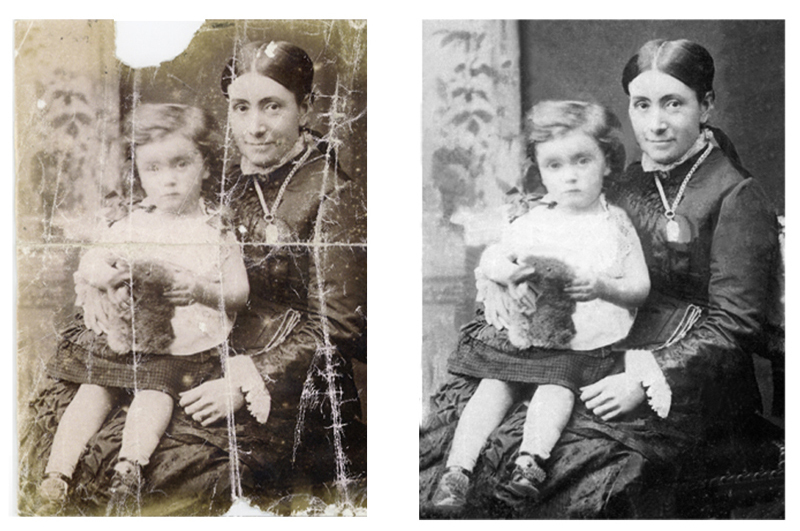 Using our photographic techniques, expertise, attention to detail and the state-of-the-art hardware and software, we meticulously restore your photographs for the next generation to enjoy. Restoring and repairing photos for customers nationwide via • Our Shop • Phone • Email • Facebook • Post. We are here to help and would be delighted to offer expert advice and discuss your photos.